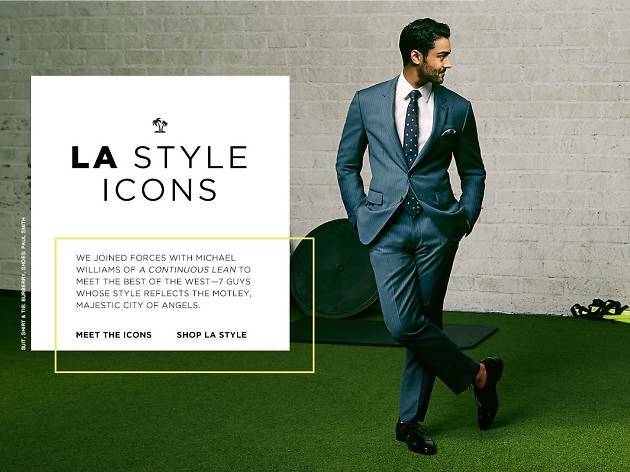 Bloomingdale's Celebrates Men's Style Icons in L.A. 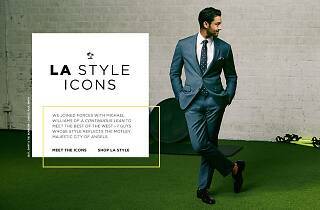 Photograph: Courtesy Bloomingdales Bloomingdale's Celebrates Men's Style Icons in L.A.
LA’s dapper Dons, beachy bros, and edgy hipsters have caught the style-savvy eyes of Bloomingdale’s men’s fashion gurus. Boasting a vast pool of statement apparel like surfer-cool garb, polished business threads, and edgy street wear, the men of this city have got it going on—and Bloomingdale’s wants to show it off. The shopping mecca is pairing up with Michael Williams of A Continuous Lean to create a lookbook celebrating West Coast style. Featuring 7 diverse style icons (Blacke Mycoskie of TOMS, LACMA Curator Franklin Sirmans, Celebrity Stylist Johnny Wujek, Actor Manish Dayal, Chef Roy Choi, Founder of Media RED Tom Leach, and Sunglasses Designer Garrett Leigh), the eclectic mix will represent LA's vibrant fashionable melting pot. Get the low down on their everyday style, find out their favorite LA spots, and shop the look through this west coast style book. Plus, head down to Men's at Bloomingdale's Beverly Center this Thursday for the campaign launch party, offering a complimentary Scotch tasting courtesy of Hugo Boss, TOM’s coffee, an artist recreating prints from the 2Xist collection, an on-site magician, and more cool happenings.